All codes are HTML5 and CSS3 validated and all browser compatible and all device supported. 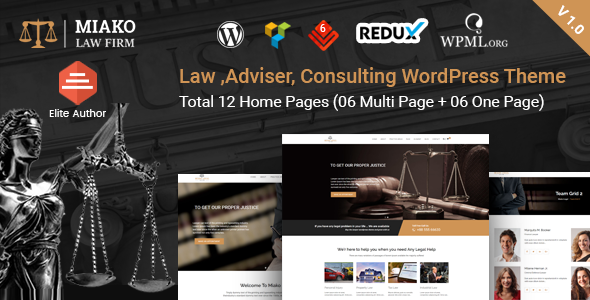 Miako Legal theme main purposes to use on Lawyer, Law Firm, Lawyer Institute, Personal Law business and Law Firm Business. 06 Header styles can do 15+ header variations. 07 Service Pages (Grid & Slider). 03 Team Pages (Grid & Slider).